THIS IS A GUEST POST - LOOKING FOR FOSTER OR ADOPTER - NEED A HOME BY 12/18. 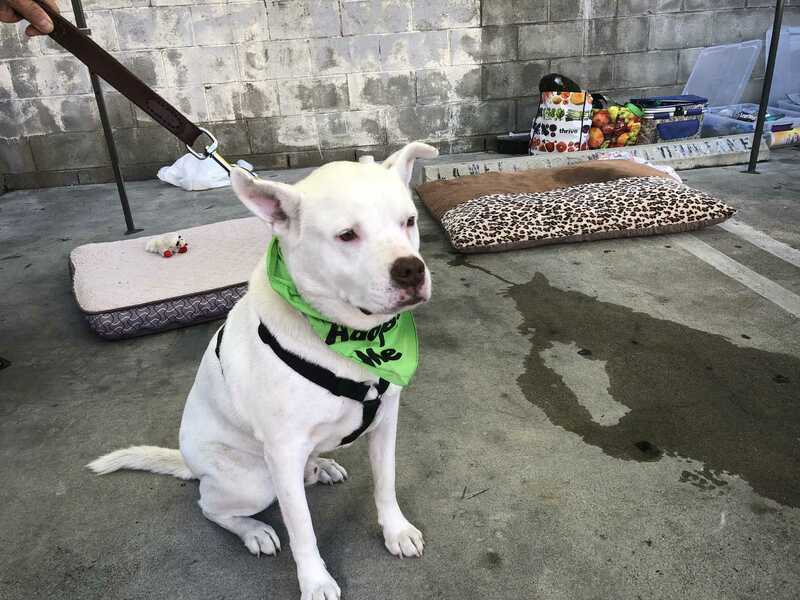 Blanco was found stray by a good samaritan. Unfortunately they cannot keep her due to home rental guidelines, beyond 12/18/18. He enjoys being indoors, and can spend time in the yard as well. Blanco loves pets, going for long walks, and playing ball. He is very good with children, good with other dogs (non-reactive on walks), and a very quiet, chill, sweet and low maintenance boy who just needs a warm place to call home. THIS IS A GUEST POST - IF YOU ARE INTEREST IN THIS SPECIAL DOG PLEASE CONTACT REEMA at 626-224-4197 or email at rarakeli@gmail.com.